Have you noticed that your earlobes look deflated and are not nicely shaped as they once were? Some clients feel their earlobe look unpleasant after years of wearing heavy earrings. 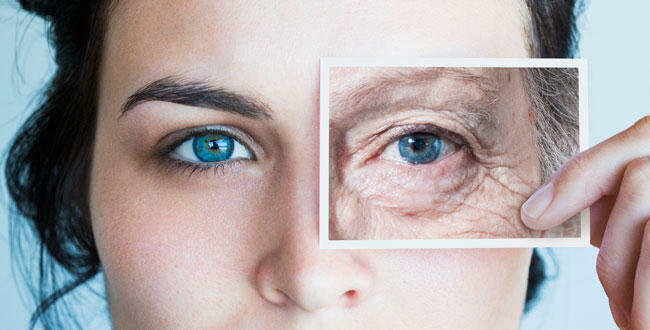 Aging is inevitable and most people are so focused on restoring and rejuvenating the youthful appearance of their face that they often overlook other important areas such as the hands, chest, neck and even earlobes. Gravity, weight of the earrings and volume loss take a toll on our ears, causing the earlobes to sag and the skin stretched out. People who have sagging earlobes and seeking ways to correct or experienced an adversely reaction to ear piercing may find themselves looking for ways to restore the beauty of their ears. Stretched out piercings and sagging earlobes can be improved with dermal filler injections. Skin Hampshire can tailor a dermal filler treatment plan to firm up and reshape your ears. Many surgical procedures can repair this issue but most people prefer non-surgical option through dermal filler injections. Depending on the client’s condition, the doctor may use one of the following dermal fillers for earlobe rejuvenation. Dermal fillers is injected into the earlobe using a fine needle to smoothen out creases and lines, add volume to the sagging skin and reduce the appearance of stretched out piercings. Although the injection are pain-free in general, the doctor can apply a topical anesthetic cream to the skin before the injection to lessen the discomfort. After the procedure, you may notice some swelling, redness and/or bruising after the injection, but this should not last for more than two days. 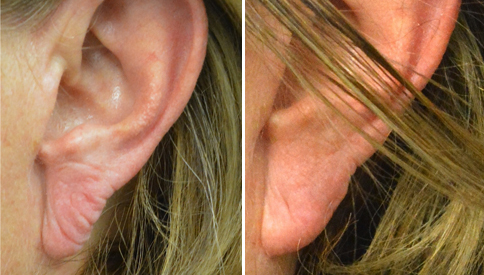 Earlobe rejuvenation may last 6 months up to a year. You can also wear earrings after the treatment. Dermal fillers usually last longer in the earlobes since there is no dynamic muscle movement unlike in the face. Most patients will only need one treatment session for earlobe rejuvenation, but a second session may give better results. Dermal filler injections are generally sage when done by an expert injector. Most patients seeking for total restoration and rejuvenation have a combination of procedures performed together. For example, you can get your earlobe rejuvenation using dermal fillers and at the same time with Wrinkle reduction Injectionto lessen frown lines in a single treatment session. You can discuss your rejuvenation needs with our doctor during the consultation so that we can develop the best course of action for you. If you have noticed that your ear piercings are stretched out, your earlobes are starting to sage and lines are beginning to form, you may be a candidate for earlobe rejuvenation using dermal filler. Contact us by calling 07 720 621 060 to schedule a consultation. Ever felt that your chin isn’t symmetrical? Not prominent enough? Perhaps you felt that it’s not in balance with the rest of your face. Fortunately, there is a non-surgical solution for people who want to enhance their chin. Chin enhance can now be done using dermal fillers to improve the visual balance of your chin or appear more prominent. What is Non-Surgical Chin Enhancement? A chin augmentation is a type of treatment that can alter the contours of the chin using dermal filler injection. These fillers can add volume to the chin area, looking more prominent. This procedure can subtly improve the appearance of the chin area. 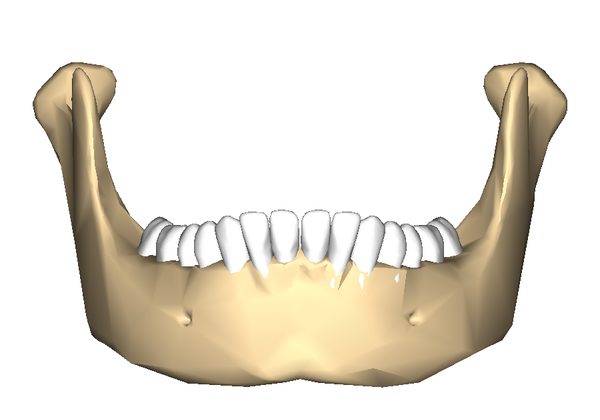 For most male patient, they can request for a more chiselled chin, while women can ask for a softer contours. Your chin can be improved by injecting dermal filler. Injected material fills the skin volume, plumping the chin area and at the same time, changing the contour of the chin. There are several types of dermal fillers that can be used – permanent, semi-permanent and non-permanents. Between the three types, the most common is the non-permanent as its effect is temporary and can easily be reversed. Permanent filler must be removed surgically. Each type of filler varies on how it creates volume under the skin and the duration of its effect. Chin enhancement using non-permanent filler usually lasts up to 6 months. Your chin will gradually go back to its pre-treatment appearance. Most patients prefer getting regular injections for keeping their enhanced chin. Non-surgical chin enhancement is first done by applying anaesthetic cream on the chin area. Then a fine needle is injected to introduce small amounts of filler into the area. Dermal filler must be administered in small injection to make sure the treatment is evenly distributed. 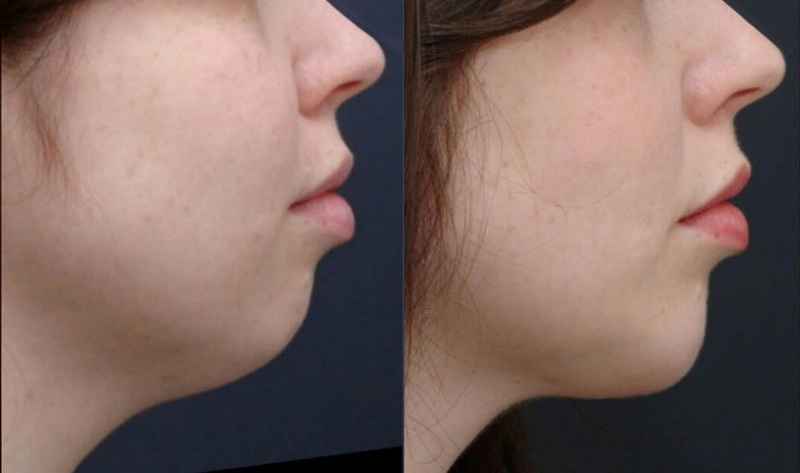 Chin augmentation has become a popular quick rejuvenation treatment as patients can go back to work or return home immediately after the treatment. There’s no bandages and no downtime in this procedure. Who are the best candidates for non-surgical chin enhancement? Suitable candidates for chin enhancement procedure are adults who desires to have a symmetrical contours of their chins. Chins that become less prominent due to weight loss and aging, those with asymmetries who want to correct, or people who wants to achieve a chiselled look, can benefit from chin enhancement injections. This treatment is suitable for men and women who are in good health.